All-inclusive resorts are a fantastic idea for couples looking to go on a stress-free, romantic getaway. After all, you know ahead of time what the price will be and these vacations tend to offer a good value. However, there can be a down side to all-inclusives. While you may know the price before hand, you may not know about the quality. For instance, all of your meals might be included, but the food may include chewy steaks and disappointing buffets. The champagne and margaritas could be free-flowing, but does the hotel serve the cheapest tequila? These are real questions that can wind up bothering a lot of travelers who expect to get one thing but end up getting another once they arrive. 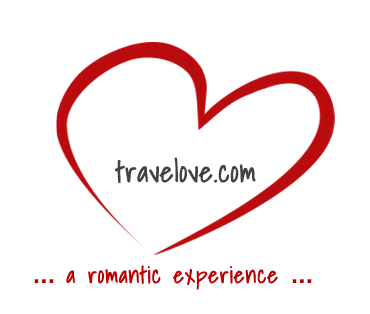 So, it’s a good idea to know about the best all-inclusive hotels for couples before you go ahead and book. 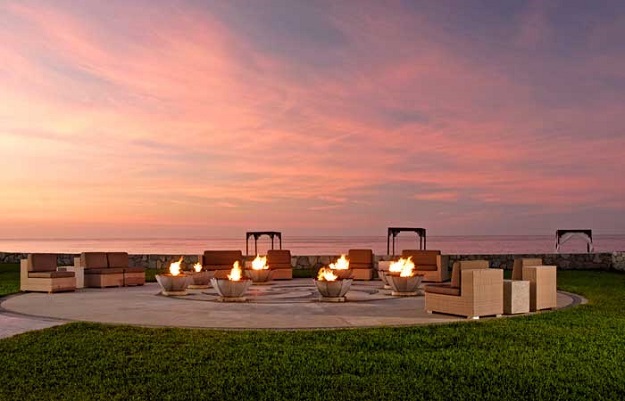 These are some all-inclusive romantic hotels and resorts that you can always depend on. Theys are known for their quality service and have been satisfying guests from around the globe with their food, booze, and overall atmosphere. Hua Hin was a favorite summer destination of Thai kings. Located close to Bangkok, Hua Hin is famous for its blue waters and coral reefs. 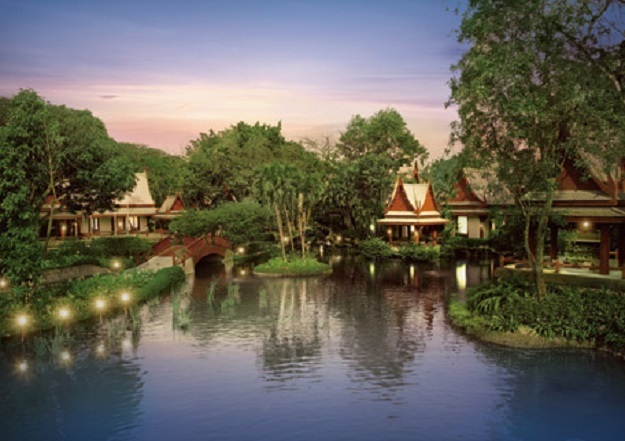 The Chiva-Som hotel is located within a seven-acre property full of banyan gardens. Couples get the royal treatment here. As soon as you check in, you will be served some lemongrass tea and will be assigned a personal advisor who will help you plan your activities, from tai chi, yoga, and meditation to herbal massages, watsu treatments, and cooking classes. You will also be able to enjoy the services of your own private butler throughout your stay. The Pueblo Bonito Pacifica is located in Cabo San Lucas, Mexico. The best thing about this resort is the 2.5 miles of pristine and private sand on which it is located. Guests do go here to party and you won’t find any vendors selling their wares on the beach. 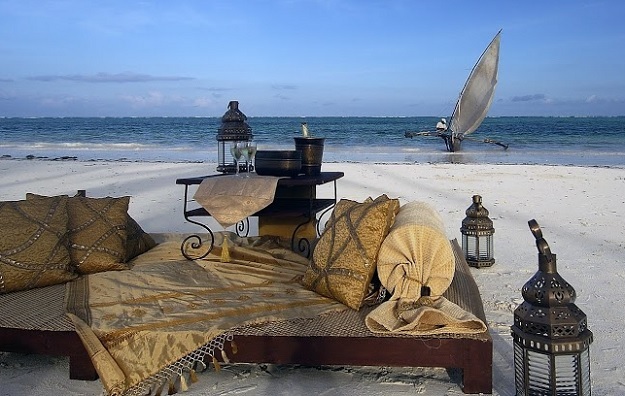 What you will get instead is an exclusive beach bed, wellness classes, and candlelit dinners on the beach. That’s one fabulous lazy agenda. There are two outdoor pools that come with underwater music as well as gardens all around. Travaasa Hana should also make the list of the best all-inclusive resorts for couples. 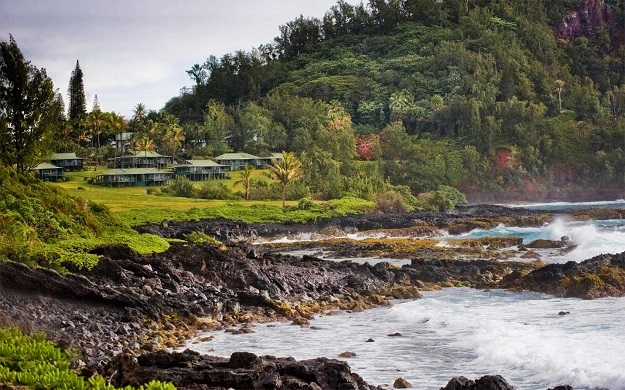 Located on the eastern shore of Maui, its plantation cottages give you stunning views of the Pacific coastline. There is Hawaiian culture everywhere—in the architecture, textiles, and hula lessons. Kapueokahi Beach is also a great place for snorkeling. The Palms hotel is located on the island of Zanzibar. This nice all-inclusive hotel offers a relaxing vacation for couples who want a peaceful holiday within stunning, natural surroundings. The thatched-roof guest bungalows are located right on the beach, each one featuring an outdoor plunge pool. There are just six villas, so you can be sure that you and your partner will always get the personal attention you deserve.